A new blessing from the gods is coming! Divine Eudemons are being sent to help the noblest warriors in their struggle for justice! How can my Eudemon obtain its Souls? 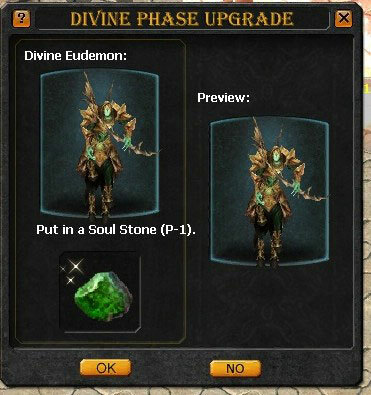 After your Divine Eudemon reaches divine level 15, it will automatically gain the Divine attribute: Eudemon Soul! Meanwhile, it will reach the Divine Phase 1. How can I increase the Eudemon Soul Points? Eidolons are used as the minor Eudemon for the Soul Composing, which can increase the Eudemon Soul Points and make your Eudemons stronger. 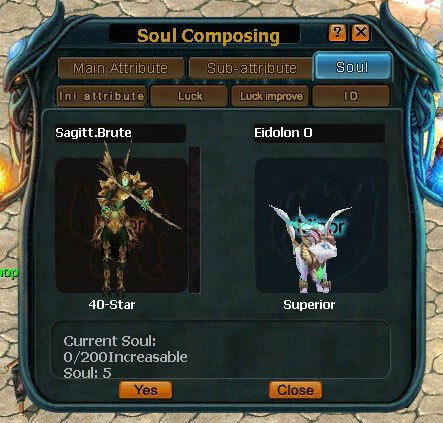 Each Eidolon will add 5 Eudemon Soul Points (equal to 5 Eudemon Points). How can I promote the Divine Phase? The Divine Phase decides the Eudemon’s Soul Points. The maximum number of Eudemon Soul Points is equal to the Divine Phase*200. 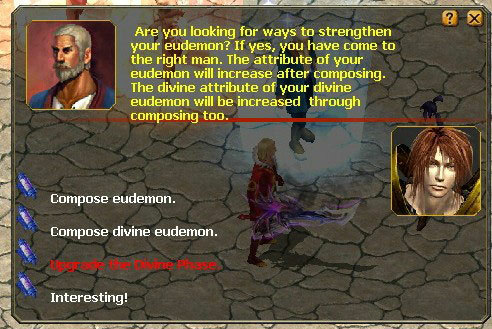 For example, the maximum of Eudemon Soul Points for Divine Phase 1 can be figured at 1*200= 200. 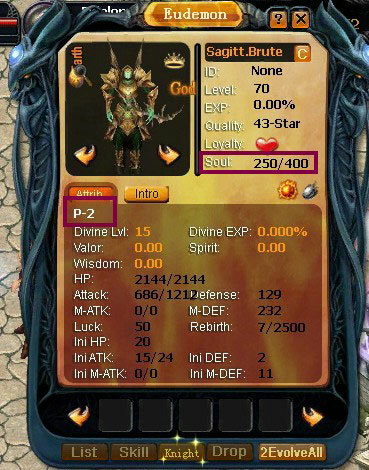 Therefore, after the Eudemon Soul Points reach 200, you should promote the Divine Phase to increase the maximum number of Eudemon Soul Points you can have! You can find Aderes to promote the Divine Phase. But you should first prepare a Eudemon Soul Stone of the same phase. 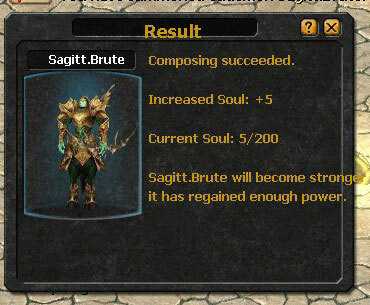 Stone Soul is composed of 5 Soul Shard, which can be collected in the Demon Rising II Quests. 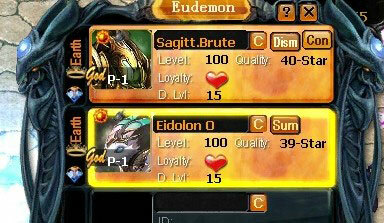 Soul Shard (P-4): Demon Adytum. Click "OK", then the Eudemon will reach the next phase and add 50 soul points!